The West Europe before the 2014 Christmas became once again a target of several mini-terroristic acts by the radical Islamists among whom the Wahabbies are the most active and dangerous. On Tuesday, December 23rd, Germany’s security service warn of highest terrorist threat in decades as the German participation in the anti-ISIS struggle became the reason for potential terrorism. However, it turned that the Balkans became a center of their activities and recruitment either for the radicalization of Islam in Europe or for the Jihad war at the Middle East. For the reason of high concentration and not properly control activities by the Islamic radicals, the Balkan Keg can explode once again. In the mid-December 2014 a Prosecutor’s Office in Bosnia-Hercegovina ended the investigation against Bilal Bosnic, informal leader of the Wahabbi community in this country, and several tens of his followers who have been arrested three months ago within a police action „Damask“ under the acusation of urging young men to join Islamic State and recruiting local Muslims for the holy war in the Middle East. Police has a video record of one of his public lectures in the region of Cazinska Krajina in the North-West Bosnia-Herzegovina in which he is praising the ISIS (the Islamic State of Iraq and Syria) that is as organization close to the Al-Qaeda. It is expected that a court procedure against this Wahabbi group will start soon in the next 2015. The issue became in fact quite serious as it is already only one step towards commiting a bloddy terror act with a mass death-toll by such radical Islamic groups operating at the Balkan regions under supervision of the western countries or their marionette governments – Bosnia-Herzegovina, Kosovo, Serbia, Montenegro and the FYR of Macedonia. We have to remember two cases from the recent years as a warning that the things can go soon out of control. 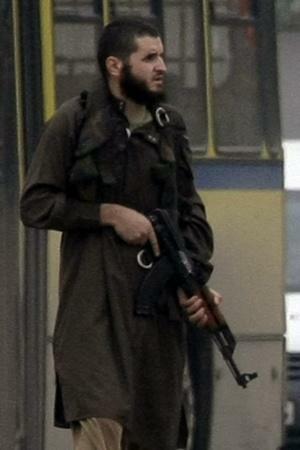 Mevlid Jasarevic is a member of the Wahhabi movement in Novi Pazar. At about 4 p.m, October 28th, 2011, a young man Mevlid Jasharevic (23) from the city of Novi Pazar (a city and municipality located in the South-West Serbia, in the Rashka District), armed with an assault rifle (“Kalashnikov”) with three spare rounds opened fire near the U.S. embassy in Sarajevo, a capital of the Republic of Bosnia-Herzegovina. He fired shots at the building with five boxes of ammunition (each containing thirty 7,2 mm caliber bullets), but finally was wounded in the leg and arrested. During the shooting the attacker shouted “Allahu Akbar!” („God is Greatest!“), as did the same on December 21st, 2014 in Dijon (France) a car driver (born in 1974) who ploughed into a group of people (a city pedestrians) with a clear intention to kill as much as of them. In the 2011 Sarajevo case, at least one police officer was injured in the shooting spree before the gunman was taken down. A young attacker Mevlid Jasharevic was related to the terrorist group, which was trained in the village of Gornja Maocha in the Muslim-Croat part of Bosnia-Herzegovina (the Croatian-Bosniak Federation accounting for 51% of the Republic of Bosnia-Herzegovina; 49% belongs to the Republic of Srpska, according to the Dayton Accords signed on November 21st, 1995). This terrorist group was led by a Muslim Nusret Imamovic from Kalesija, a town in the North-East Bosnia-Herzegovina, before the group was destroyed in February 2010 when the Bosnian-Herzegovinian security forces took action and detained Imamovic and six others suspected of subversive activities. According to the police, Jasharevic had two hand grenades. It turned out that Jasarevic is a member of the Wahhabi movement in Novi Pazar. He was detained (together with Fatmir Muratovic), by Serbia’s police in December 2010 for possession of a large knife outside a meeting of the foreign ambassadors in the city. The US Ambassador to Serbia Mary Warlick was present at that meeting as well. On December 5th, 2007 a Serbian security forces arrested 15 members of an Islamic Wahhabi terror group in Rashka (a district populated by mixed Serb-Orthodox and Boshnjak Muslim inhabitants). [III] This group originated in Saudi Arabia fighting for transformation of the Balkans into an Islamic Caliphate or even into Talibanistan. [IV] The above people have been charged by the Serbian authorities for planning terror attacks in various locations of Belgrade, including the bombings of the US Embassy too. According to the Prosecutor’s Office in Belgrade, the Wahhabies established a close network with their peers, commanders, ideologues and mentors abroad, namely in Bosnia-Herzegovina, Austria and Saudi Arabia. They communicated by phone, e-mail and the CD-recorded commands. These 15 Muslims were led by a Muslim Bosniak Senad Ramovic from the city of Novi Pazar where rival Muslim groups have been for many years engaged in a mutual violence. The authorities in Serbia at that time accused Senad Ramovic of conspiring to kill the Muslim leader Mufti Muamar Zukorlic. One of the accused, Senad Vjeselovic, also from Rashka, recognized that the group was in close contact with various radicals in Mecca and Medina (in Saudi Arabia), who were passing the orders from Sheiks on whether Mufti Zukorlic should be assassinated or not. The Serbian authorities have also found maps in the confiscated computer owned by Mehmed Koljshija, a member of this terrorist group. The maps identified locations inside the city of Belgrade such as the National Theatre, Beogradjanka building (highest building in the Balkans), Hotel Park (all buildings in the down town) and the US Embassy (in Knez Milosh Street). Serbian state security forces have also seized various weapons that can fully arm from 30 to 40 individuals. Many of those Arab Mujahedeens received after the war in Bosnia-Herzegovina a citizenship and passports of this country as a grant for their active participation in the war on the Allah’s side including and the Wahabbies from Saudi Arabia. [IX] The most infamous and cruel Muhajedeen military unit in Bosnia-Herzegovina was the “El Mujahedeen”. However, after the pressure by the US and British governments passports issuing policy in Bosnia-Herzegovina is radically restricted for the former Mujahedeens and today Wahabbies. After the war in Bosnia-Herzegovina they have been active in Kosovo, the South-East Serbia’s district of Rashka (Novi Pazar in Turkish) and the West Macedonia and now the Wahabbies are running, for instance, about 30 Quran’s schools in the US created quasi-state of the Republic of Kosovo(a)[X] taking an active part together with the local Muslim Albanians in a systematic policy of destruction of the Christian (Serbian) cultural inheritance transforming Kosovo into a new Islamic State. [XI] An Albanian language media in Kosovo several times reported that due to its unimpeded activity, after the Kosovo War of 1998−1999, the nature of Muslim Albanian community in Kosovo experienced serious trials influenced crucially by the Wahhabies as they are against any foreign cultural influence and impose their „exclusive teachings“ at funerals, circumcision rites and religious gatherings, contest the theory of natural or social occurrences and offer in return their interpretation of the Sharia or the Quran. According to the Prishtina media, for instance, a young man from Peć (Pejë in Albanian or Ipek in Turkish in the western part of Kosovo) Elvis Goga is referred to as the chief Mujahedeen in Kosovo, and that the NGO’s are still active under the umbrella of the Joint Saudi Committee for the Relief of Kosovo and Chechnya – an organization that contributed very much to the expansion of the Wahhabism in Kosovo. [XII] The situation in Bosnia-Herzegovina, Rashka or the West Macedonia is quite similar to the Kosovo case. 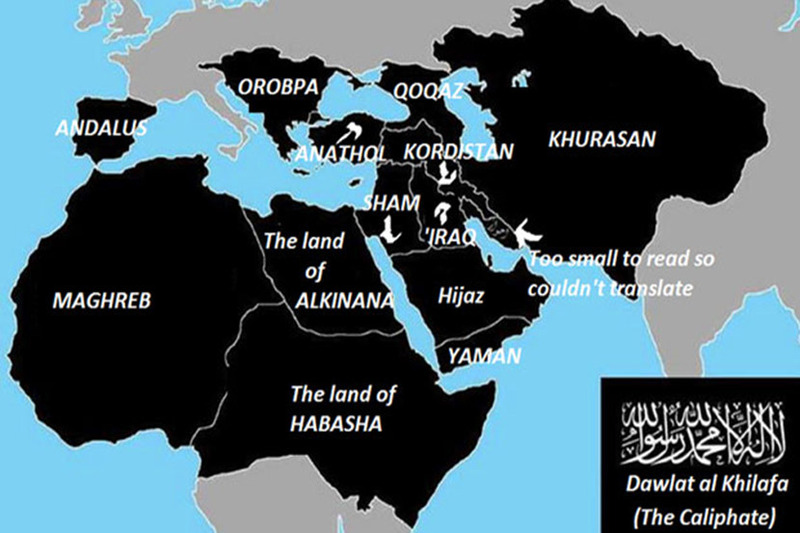 From all of these regions the local Muslims are recruited for the holy war in the Middle East today including females. A fact is that many Islamic NGO’s emerged in Kosovo after the war in 1999 and tackled poverty issues in Kosovo’s suburbs and surrounding villages. They must respect the Saudi government’s stand to stay active on the ground „as long as there is a need for that“. According to recent statements of Serbian political and security analysts, Kosovo Albanians and international Mujahedeens, including the ones who are members of the Al Qaeda’s network and the Wahhabi movement, are getting prepared for a possible „Kosovo Spring“ given that international/western KFOR and EULEX institutions in Kosovo are not able to bring the northern part of Kosovo under full political control and governance of the central authority in Prishtina (with expected cleansing of the local Serbs as it was already done in the rest of Kosovo). How much the situation with the Wahhabi movement at the Balkans is seriuos today can illustrate a real fact that in November 2014 was arrested in Vienna a chief organizer of the transfer of Jihad soldiers from the region of the Balkans to Syria and Iraq was a native Slav Bosniak, a member of the Wahhabi movement. According to September 2014 report, Bosnian children attended the ISIS summer camp in Syria – a report covered by an ISIS video footage on Bosnia-Herzegovina’s kids with the guns in one of the ISIS training camps. Kosovo after mid-June 1999, when the NATO occupied this South Serbia’s province, became mostly exposed to the Wahabbi influence, but not Bosnia-Herzegovina. [XIII] According to some western sources, only in Kosovo there are today arround 50.000 adult male radical Muslims in the age of fighting who are in fact led by the Saudi Wahabbies. These Islamic radicals are extremely anti-Christian destroying the Christian shrines and attacking even the Christian Albanians for whom the Albandom is not providing any umbrella of protection. Even the Roman-Catholic nun, saint, Nobel peace prize winner, Mother Theresa (1910−1997), who was of the Albanian ethnic origin,[XIV] is not exception from the Wahabbi and other radical Muslims’ persecution. But what is of the most important concern is the fact that the Wahabbies are destroying at the Balkans and old Ottoman-time Islamic monuments including and the mosques announcing them as a non-Islamic in essence. However, the local Muslim authorities, either in Kosovo or in Bosnia-Herzegovina, are usually presenting to the global (western) mainstream mass-media such cases as a consequence of the 1990’s wars in ex-Yugoslavia, i.e., as a Serb-Christian cultural genocide against the Yugoslav Muslim population. A crucial question is why the West (the USA) is closing the eyes to the process of Islamization of the Balkans and extermination of the Cristian population in the regions administered by the Muslim majority or better to say, by the Islamic regimes installed exactly by the western „democracies“ on the rubbles of ex-Yugoslavia? [I] On Islamic terrorism at the Balkans, see [Shay Sh., Islamic Terror and the Balkans, Transaction Publishers, 2008]. On radical Islam today, see [Pargeter A., The Muslim Brotherhood: From Opposition to Power, London: Saqi Books, 2013; Wickham R. C., The Muslim Brotherhood: Evolution of an Islamist Movement, Princeton, NJ: Princeton University Press, 2013]. [II] On the Afghan Taliban-Bosnian Bosniak connections, see [Kohlmann F. E., Al-Qaida’s Jihad in Europe: The Afghan-Bosnian Network, New York: Berg, 2004]. On the Al-Qaeda’s network in Bosnia-Herzegovina, see [Schindler R. J., Unholy Terror: Bosnia, Al-Qa’ida, and the Rise of Global Jihad, St. Paul, MN: Zenith Press, 2007]. [III] On the national identity of the Rashka’s district (Sanjak of Novi Pazar) Slavic Muslims, see [Fridman F., The Muslim Slavs of Bosnia and Herzegovina (With Reference to the Sandzak of Novi Pazar): Islam as National Identity, Nationalities Papers, 2000]. [IV] On the radical Islam at the Balkans and its ideology and doctrine, see [Deliso Ch., The Coming Balkan Caliphate: The Threat of Radical Islam to Europe and the West, Westport, Connecticut−London: Praeger Securiti International, 2007; Bergem P. (ed. ), Talibanistan: The Borders Between Terror, Politics, and Religion, Oxford−New York: Oxford University Press, 2013]. [V] On historical development and identity of Bosnia-Herzegovina’s Muslim community, see [Donia J. R., Fine Jr. J., Bosnia and Hercegovina: A Tradition Betrayed, New York: Columbia University Press, 1994; Pinson M. (ed. ), The Muslims of Bosnia-Herzegovina: Their Historic Development from the Middle Ages to the Dissolution of Yugoslavia, Cambridge, Mass. : Harvard University Press, 1996]. On dissolution of ex-Yugoslavia, see [Woodward L. S., Balkan Tragedy: Chaos and Dissolution After the Cold War, Washington, D.C.: The Brookings Institution, 1995; Owen D., Balkan Odyssey, London: Indigo, 1996; Finlan A., The Collapse of Yugoslavia 1991–1999, Ospray Publishing, 2004; Sotirović B. V., Emigration, Refugees and Ethnic Cleansing: The Death of Yugoslavia, 1991−1999, Vilnius: Lithuanian University of Educational Sciences Press, 2013; Mikasinovich B., Yugoslavia: Crisis and Disintegration, Plyroma Publishing Company, 2014]. [VI] See [Lings M., Muhammad: His Life Based on the Earliest Sources, Inner Traditions, 2006; The Quran, Oxford: Oxford University Press, 2008; Husain E., The Islamist, New York: Penguin Group, 2008; Euben L. R., Zaman Q. M. (eds. ), Princeton Readings in Islamist Thought: Texts and Contexts from Al-Banna to Bin Laden, Princeton, NJ: Princeton University Press, 2009; Spencer R., Islam: Religion of Bigots, Sherman Oaks, CA: David Horowits Freedom Center, 2013]. [VII] Јевтић M., „Исламска суштина албанског сецесионизма и културно наслеђе Срба“, Национални интерес (National Interest), vol. 17, no. 2, Belgrade: Institute for Political Studies, 2013, 231−252; Davidson L., Islamic Fundamentalism: An Introduction, Santa Barbara, California: Praeger, 2013. [VIII] There is a short documentary movie (8 min.) made by the British “SKY News” after the war in Bosnia-Herzegovina about the Arab Mujahedeens fighting in Bosnia-Herzegovina on the side of the Army of Bosnia- Herzegovina led by the Muslim government in Sarajevo and about the impact of the Wahabbies on the Muslim society in post-war Bosnia-Herzegovina. The movie is available on [http://vimeo.com/8482257]. On the holy war of Jihad, see [Firestone R., Jihad: The Origin of Holy War in Islam, Oxford−New York: Oxford University Press, 1999; Cook D., Understanding Jihad, Berkley−Los Angeles, California: University of California Press, 2005; Kepel G., Jihad: The Trial of Political Islam, London: I.B. Tauris & Co Ltd, 2006; Bonner M., Jihad in Islamic History: Doctrines and Practice, Princeton, NJ: Princeton University Press, 2008; Bostom G. A., The Legacy of Jihad: Islamic Holy War and the Fate of Non-Muslims, New York: Prometheus Books, 2008; Lindsey H., The Everlasting Hatred: The Roots of Jihad, Washington, D.C.: WND Books, 2011; Kemp A., Islam’s 1,300 Year War on Western Civilisation, CreateSpace Independent Publishing Platform, 2013]. [IX] On Wahhabies and their mission, see [Algar H., Wahhabism: A Critical Essay, Oneonta, NY: Islamic Publications International, 2002; DeLong-Bas J. N., Wahhabi Islam: From Revival and Reform to Global Jihad, Oxford: Oxford University Press, 2004; Bradley R. J., Saudi Arabia Exposed: Inside a Kingdom of Crisis, Palgrave Macmillan, 2006; Allen Ch., God’s Terrorists: The Wahhabi Cult and the Hidden Roots of Modern Jihad, Da Capo Press, 2007; Ayoob M., Kosebalaban H. (eds. ), Religion and Politics in Saudi Arabia: Wahhabism and the State, Lynne Rienner Pub., 2008; Commins D., The Wahhabi Mission and Saudi Arabia, London−New York: I.B. Tauris & Co Ltd, 2009; Hegghammer Th., Jihad in Saudi Arabia: Violence and Pan-Islamism since 1979, Cambridge: Cambridge University Press, 2010; Lacroix S., Awakening Islam: The Politics of Religious Dissent in Contemporary Saudi Arabia, Cambridge, Mass. : Harvard University Press, 2011; Dillon R. M., Wahhabism: Is It a Factor in the Spread of Global Terrorism? Kindle edition, 2012; Salvato F., The Muslim Brotherhood & Wahhabism in America, Virginia Beach, VA: BasicProject, 2012; Peskes E. (ed. ), Wahhabism: Docrine and Development, Critical Surveys in Islamic Denominations Series, 2014; Crawford M., Ibn‘Abd Al-Wahhab, London: Oneworld Publications, 2014; Subhani J. A., Wahhabism, CreateSpace Independent Publishing Platform, 2014]. [X] About Wahabbies, Al Qaeda, Jihadists and Mujahedeens in Kosovo see [“Al Qaeda in Kosovo” at http://www.serbianna.com/columns/mb/035.shtml]. [XI] On destruction of the Serbian Christian property and pogrom of the Serbs by Kosovo Muslim Albanians see, for instance [March Pogrom in Kosovo and Metohija. March 17-19, 2004 with a survey of destroyed and endangered Christian cultural heritage, Belgrade: Ministry of Culture of the Republic of Serbia-Museum in Priština (displaced), 2004]. [XII] For example, on the Jihad in Bosnia-Herzegovina, see [http://www.nspm.rs/komentar-dana/dzihad-u-sarajevu.html]. About the CIA and Al Qaeda at the Balkans, see [http://www.freerepublic.com/focus/f-news/1394711/posts]. [XIII] See more in [Потежица О., „Вахабити придошлице на Балкану“, Политикологија религије, № 1, Београд, 2007]. [XIV] On Mother Teresa, see [Spink K., Mother Teresa: An Authorised Biography, New York: HarperCollins Publishers, 2011; Scot D., The Love That Made Mother Teresa: How Her Secret Visions and Dark Nights Can Help You Conquer the Slums of Your Heart, Manchester, NH: Sophia Institute Press, 2013; North W., Mother Teresa: A Life Inspired, North Wyatt, 2014]. Total blame falls with the anglo zionist regimes in America and Britain for the destruction of Yugoslavia a beautiful country now decimated. Dear Peter, they do not care. It is how world politics works from the very beginning.